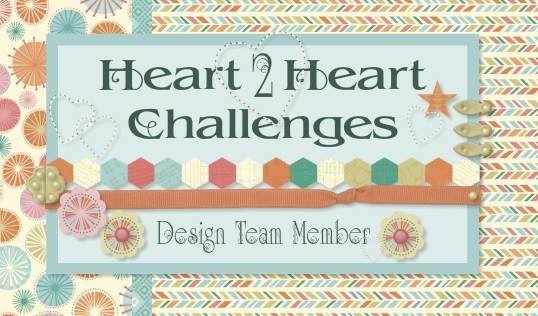 Welcome to our Heart Happy Blog Hop! 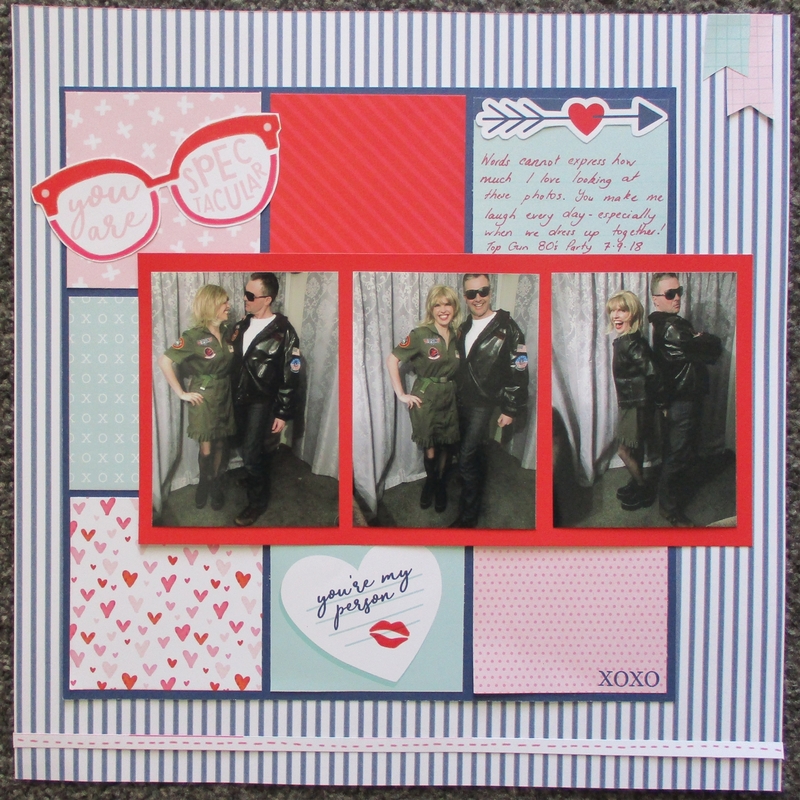 The Heart Happy Paper Packet features an awesome cut apart sheet, and the glasses embellishment sparked this page idea for me since my partner was wearing his aviator sunglasses for a Top Gun themed dress up party. I used a classic grid design so that I could showcase as many of the papers as possible- I love how well they all work together. 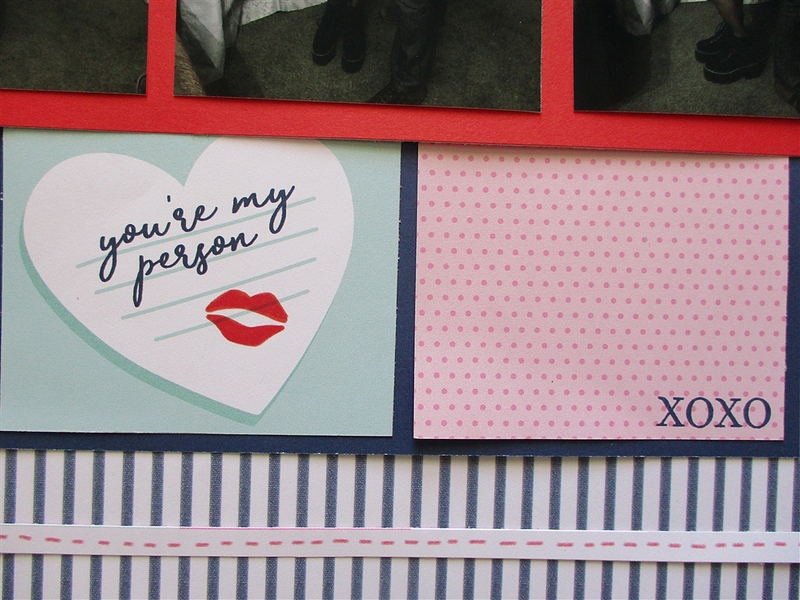 Here's a close up of the embellishment that gave me the idea for this layout- isn't it cute? 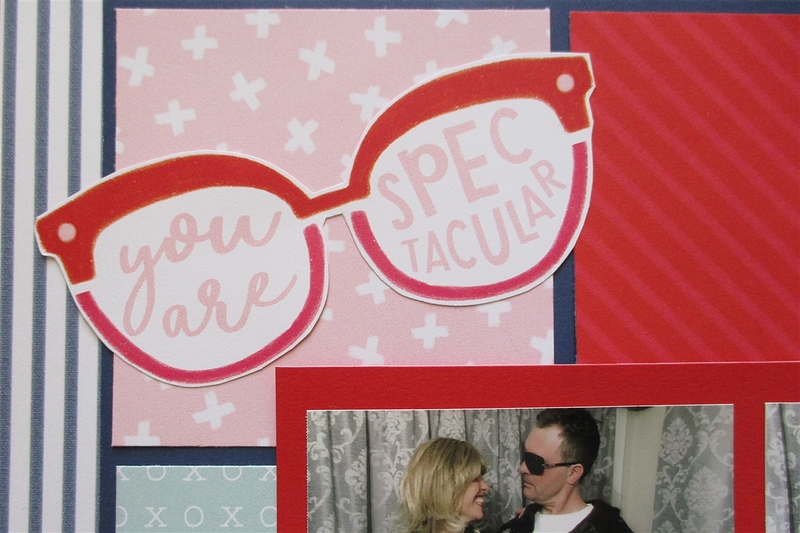 I used a lot of the paper patterns to add interest to the layout, but I couldn't resist stamping this xoxo on one of the papers using the January Stamp of the Month. Now "Hop" on over to Krista's Blog to see her work! Be sure to visit all the Consultants at their Blogs to get some great crafting ideas and other fun ideas! What a great page! I love how you used the grid and put so many of the papers together. Great layout, the classic grid is perfect to show off the papers. Love your LO and all the special touches to it ....and BTW such cute pics!!! That page...and the photos; Perfect!